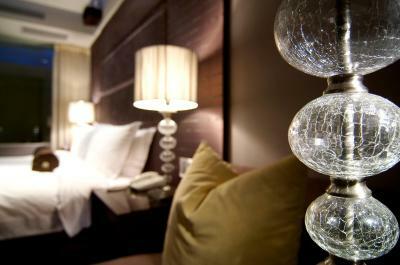 Lock in a great price for Tango House – rated 8.1 by recent guests! The huge bathroom and bathtub were truly amazing. The carpark wasn't useful for us. JACUZZI... I did not had Car but, I got a room with Car parking. It was good. Bathroom was much bigger than the bed room With Big Windows to see the Main road. Hotel is just 2 mins walk to Yongchow MRT Station so travelling MRT was so close. Taipei 101 was about 1KM, I used go for walk sometimes. It's close proximity to the 101, Elite, and the MRT. The hot tub was amazing. And shower. Convenient I you have a car too as you can park right outside your room. Богатый набор принадлежностей для ванны, очень удобные тапочки. Минибар чаи печеньки - входит в стоимость номера. Номер был большим, джакузи, душ, сауна. И свое порковочное место прямо перед входом в номер. Tango House This rating is a reflection of how the property compares to the industry standard when it comes to price, facilities and services available. It's based on a self-evaluation by the property. Use this rating to help choose your stay! Offering free Wi-Fi access, House Tango is located conveniently within a 5-minute walk from Yongchun MRT Station and City Hall MRT Station. 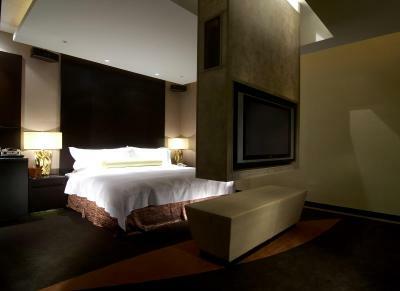 It features a gym, a business center and luxurious rooms with spa bath facility. This nonsmoking property is just an 8-minute walk to Taipei World Trade Center, Elite Bookstore of City Hall and the well-known Taipei 101. 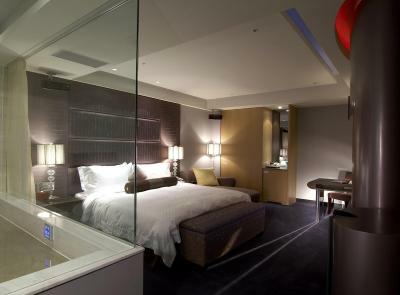 Taiwan Taoyuan International Airport is about a 40-minute drive away. Fitted with wall-to-wall carpet flooring, contemporary rooms are equipped with an in-room safe, a flat-screen cable TV with DVD player, tea/coffee making facilities and free mini-bar. 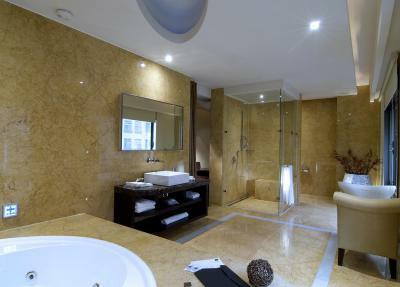 The large en suite marble bathroom features a hairdryer, bathrobes and full bath amenities. Featuring private elevators, House Tango features its unique parking system, where guests can conveniently park their cars right outside their rooms. The 24-hour front desk can assist with luggage storage, laundry services and travel arrangements. House Tango serves buffet breakfast daily at the dining room. Guests may also request for meals to be delivered to their rooms. 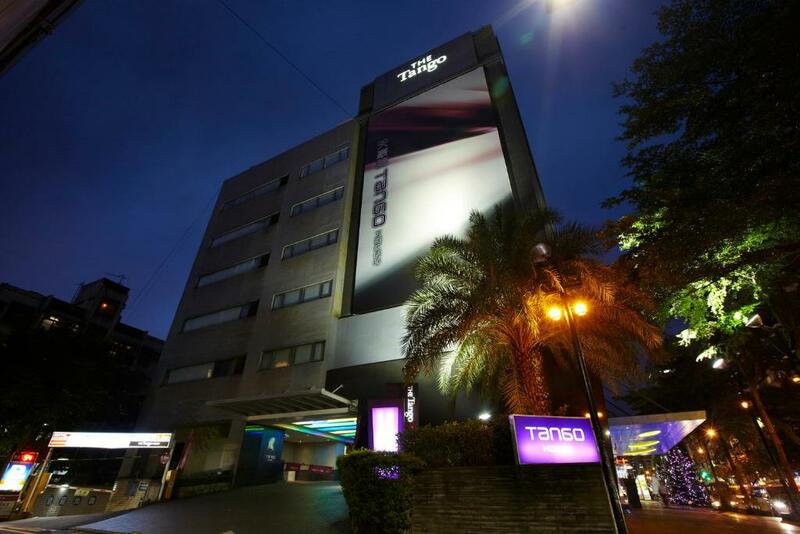 When would you like to stay at Tango House? Contemporary rooms are equipped with an in-room safe, a flat-screen cable TV with DVD player, tea/coffee making facilities and free mini-bar. 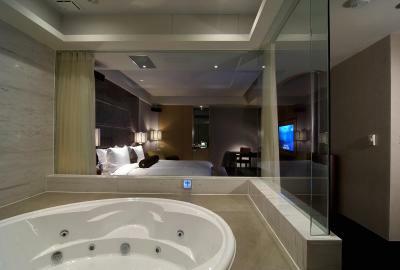 The large en suite marble bathroom features a spa bath, a hairdryer, bathrobes and full bath amenities. Guest must check in at 20:00 to enjoy this special offer. House Rules Tango House takes special requests – add in the next step! Tango House accepts these cards and reserves the right to temporarily hold an amount prior to arrival. The breakfast could have a bit more vegetarian options. I do not eat pork... There were no mention of pork for few food Items. I had to ask Staff which is safe to eat. They used to help me and give seperate soup and noodles without pork. I made suggestion to mention in the labels for Food Items with pork. Which they Implemented after my advice. The spa bath has a great deal of visible burn damage to it, possibly causes by cigarettes and other unidentified sources from previous guests. In addition to that, large pieces of human skin sheddings and sanguineous crusts were found near the handles of the bathtub, along with strands of hair with varying lengths, possibly from more than 1 person. To top it off, the bath still had water residue inside after a late 8pm check-in, suggesting that it may not have been cleaned after the previous guests checked out. The handwash basin had remained clogged overnight, had to wash hands in the shower after the first use. The duvet of the bed was covered in specks of black matter and what appears to be scraps of very thin paper, the duvet cover had a hole that could fit a finger, as well as the bed sheet. 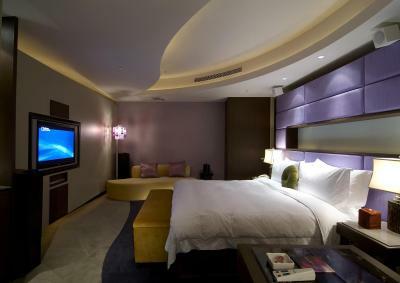 The property is ventilated centrally, and it circulated a cigarette odour for the entire duration of the stay, which is weaker in the big room, and stronger in the small room, people who are sensitive to the smell may find it suffocating. 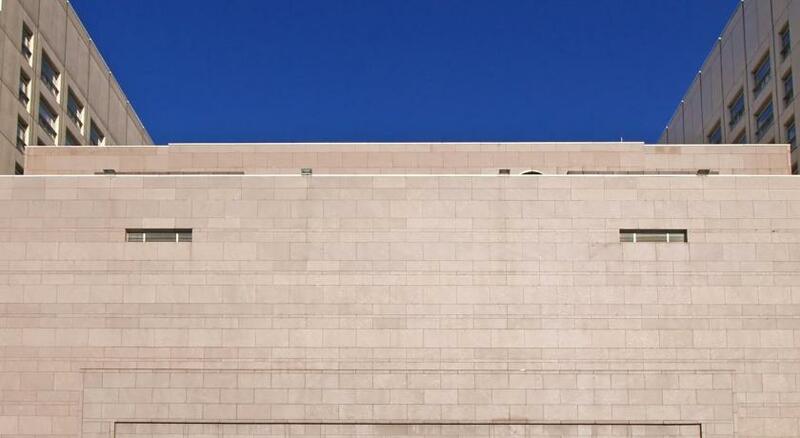 The property was not listed as smoke free, but neither was it marked smoking permitted, and as the managing staff have pointed out, they try their best to discourage guests from smoking indoors, but it appears not all adhere to the request. The hygiene standards of House Tango was with the lack of a better description, horrendous and shocking. For a property rated and reviewed at 8 and above, as well as placing it's price point into consideration, it was doubtful that anyone should pay the full advertised price, when there are properties that could outdo them in terms of hygiene and match the advertised quality to its advertised price. And I certainly wouldn't pay for half price to sleep on a couch, a direct result of House Tango's inability to deliver a clean bed. Mosquito in the room. Cooking smell around the room in early morning about 4-5 am. It felt a little dated in places and the room was kind of dark.